Judge Jen is the official Spellburn Acolyte for DCC RPG! She’s spent half her life cultivating her gaming pedigree and dice collection, beginning with Lovecraftian horror and later experiencing the D&D lineage backward. 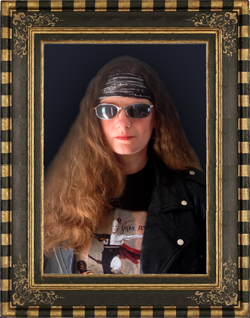 Jen started running open table Dungeon Crawl Classics RPG games in 2012, providing the perfect excuse to buy more dice. When properly caffeinated, she is on the writing team for the Hobby Shop Dungeon/Crossroads to Adventure project, and is featured on an upcoming CD for the Sixcess: Elfwood fantasy setting. She enjoys portraying a Battle Sister in Dark Heresy, will drop almost anything for a good Call of Cthulhu game, and plays in 1st Edition AD&D campaigns when she’s not obsessively preparing for the next DCC RPG Road Crew session. Judge Julian cut his teeth on AD&D (before they were called “editions”) in the early 80s. He played second edition with demons and devils for many years, especially enjoying Ravenloft adventures. After some lean years during the D20 era, Judge Julian wholeheartedly joined the Oldschool Renaissanace and has logged countless hours running Castles & Crusades and DCC RPG since then. 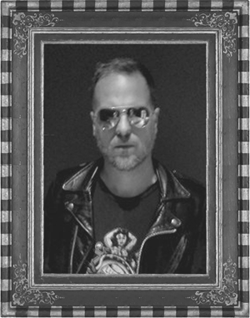 He co-founded the Minneapolis DCC RPG Society with Gary Fortuin in 2013 and has collaborated on adventures with Steve Bean, Clint Bohaty and Fred Daily before writing Nowhere City Nights, his third-party modern noir setting for DCC RPG. 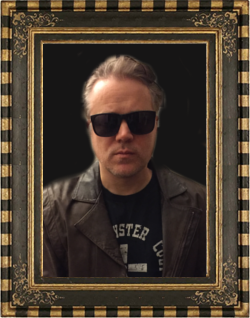 He is a published poet, ex-lead singer and is known to be dangerously obsessed with Tegel Manor. Judge Jarrett once drove a ’77 Dodge Neon to the Moon with a load of stolen data tapes in the trunk. He started playing B/X d&d in 1983 thanks to his cool robotic uncle and never looked back. He likes to maintain a 75% kill ratio when running funnels, all the while saying ‘Yes, and?’ He probably invented the following: Lincoln Checks, hemoglobin and Kitty Mountain, where the kitties come to slay. Do not make eye contact or any sudden moves if you are within 50 feet of him. Judge Jeff was first introduced to tabletop RPGs in 1990 with AD&D 2nd edition when it was hot off the presses. His impressionable young brain soaked it up and he has been obsessed with the hobby ever since. Over the years he experimented with many systems but none inspired or excited him as much as DCC RPG did. When his D&D group dissolved after 10+ years of play, he committed himself to making DCC RPG his home system. In August 2016 he founded the DCC NYC Meetup group. Through that group he can be found running regular Road Crew games at the Brooklyn Strategist as well as hosting the Appendix N Book Club where they are working their way through approximately one pre-1979 paperback a week. Judge Jobe is a beaten and half-starved scribe-slave pressed into service by a sadistic demon prince. By day, he breaks all the internet. By night, he toils at freelance writing assignments and transcribes half-baked game designs at the behest of his dark master. He has twice seized the crown of the King of Monsters from Kobold Press, written the Free RPG Day 2012 module for Wizards of the Coast, been a finalist in Paizo’s RPG Superstar, and most recently won Goodman Games’ Mystery Map DCC RPG adventure contest. 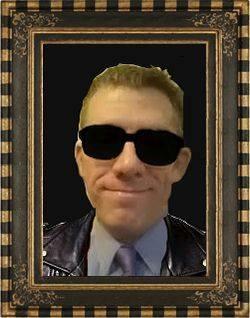 You can catch up with him on the DCC RPG World Tour 2013 circuit at a gaming convention near you. Please send meat. 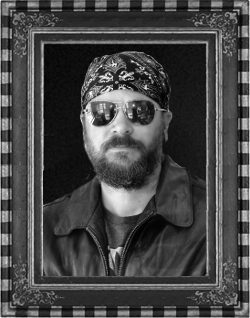 Judge Jim is a self-avowed Dungeon Crawl Classics RPG evangelist, and lives in Cincinnati, Ohio. Jim started playing D&D in 1979 when he stumbled across some college students playing from the Little Brown Books and the AD&D Monster Manual. Beginning with the Holmes Basic Set, he has played every edition of D&D since, though his system of preference is 1st edition AD&D. 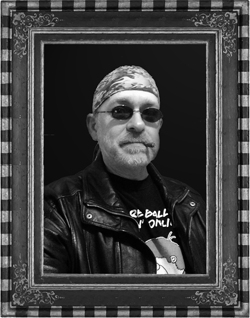 Jim currently plays in Tim Kask’s OD&D campaign, a Basic/Expert D&D online campaign, and a DCC RPG campaign at Gateway Games in Cincinnati. 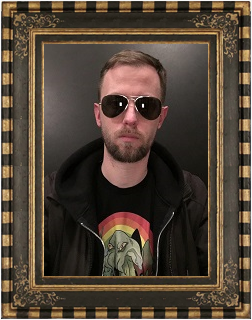 When he’s not gaming, Jim spends his spare time writing and drawing the Marvin the Mage webcomic, co-hosting the Classic D&D podcast Save or Die!, and selecting his breakfast cereal based on the prize inside. Judge Jeffrey started gaming in the early 80’s with the Moldvay D&D Boxed Set. A path that has since led him through 1st Edition AD&D, 2nd Edition AD&D, and on to newer systems such as D&D 3.x and Pathfinder. Dungeon Crawl Classics RPG brought Jeffrey back to gaming with old school sensibilities while enjoying a modern take. Jeffrey currently runs a weekly online DCC RPG campaign coming up on its first year anniversary of play. His local gaming group predominantly plays Pathfinder, but has dabbled with DCC RPG on multiple occasions. In his spare time Jeffrey practices his freelance writing and mapping skills to supplement his RPG habit. 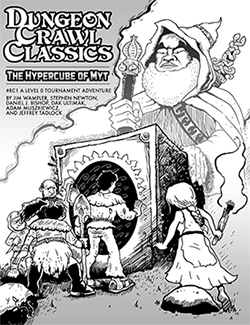 Jeffrey blogs at The Iron Tavern which focuses on fantasy RPGs, including the Dungeon Crawl Classics RPG.